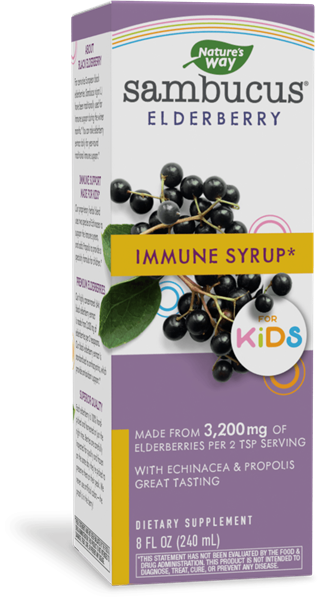 Sambucus for Kids / 8 fluid oz - Nature's Way®. Children 1-6 Years of Age: Take 1 teaspoon (tsp) (5 mL) daily. Caution: Not recommended for individuals with autoimmune conditions. Persons with allergies to plants of the Asteraceae (Compositae) family, including ragweed, should use this product with caution. If pregnant, nursing, or taking any medications, consult a healthcare professional before use.